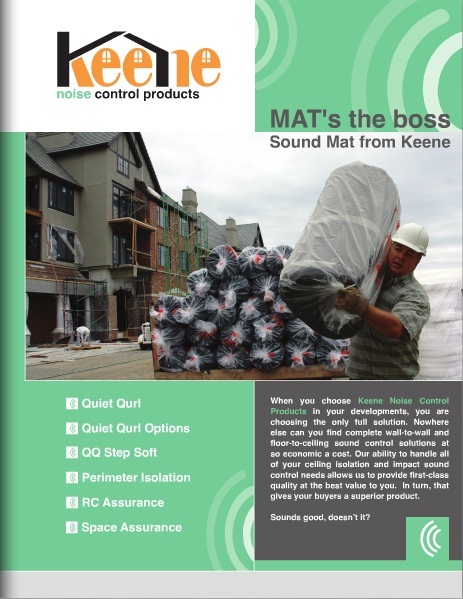 Keene Building Products is the premier innovator and manufacturer of 3-dimensional filament products for the building envelope and noise control markets. Our noise products are designed for construction projects such as multi-family apartments and condominiums to stop impact and airborne noise, while our building envelopes products can be utilized in wall, masonry, roofing, and foundation applications to eliminate moisture issues. Product lines include: QUIET QURL®, Acoustical Assurance™, and DRIWALL™. 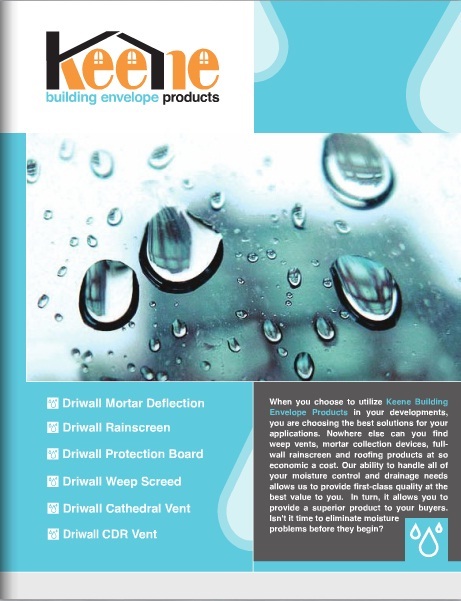 KEENE focuses on building envelope and noise control applications. We have a philosophy at KEENE about business. It says there are three reasons to start in business. First is the compelling reason and it drives the need for someone to buy. Without it, there is no need to even begin. When we started, there was a compelling need for someone to make products for noise and moisture control. We filled that void well and are at a point where we have greatly added to the market through creative “KEENE ideas” whether in technique or product development. Our understanding of the large filament manufacturing exceeds any in the world. We are only a 10-year old company. We’ve earned many patents in “entangled net” design and have many more pending. We are a group of good people. The creative juices flow at KEENE whether it applies to our website design, sales approach in the market or a creative way to finance an acquisition. KEENE people think in a positive, juxtaposed and innovative way. Most importantly, we make things here at KEENE. Making things is the second piece to the business and we manufacture just about everything we sell today. We can’t do this alone so we are all about being close to our customer so we market to the industry and stay as close to the installers and specifiers of our products as we possibly can. Being close to the customer is the third compelling reason to be in business.